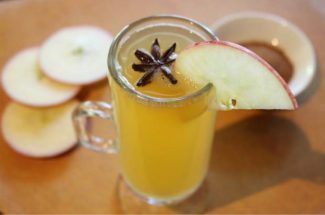 Stroll through downtown Tahoe City and enjoy wine and treats while celebrating the kick-off to the holiday season and our annual Shop Local program. SWEP’s third annual Tahoe Film Fest will present environmental feature films from the U.S. and Latin America in Incline Village and at Northstar. Ring in the holiday spirit at Barton Health’s 9th annual Festival of Trees & Lights, featuring various events and entertainment at MontBleu Resort Casino & Spa. Shops stay open later on the first three Fridays in December in Historic Downtown Truckee. Take advantage of special promotions and stay for dinner. Watch as the Beach Retreat transforms into a holiday play land with twinkling lights and holiday decor at Tahoe Beach Retreat & Lodge in South Lake Tahoe. 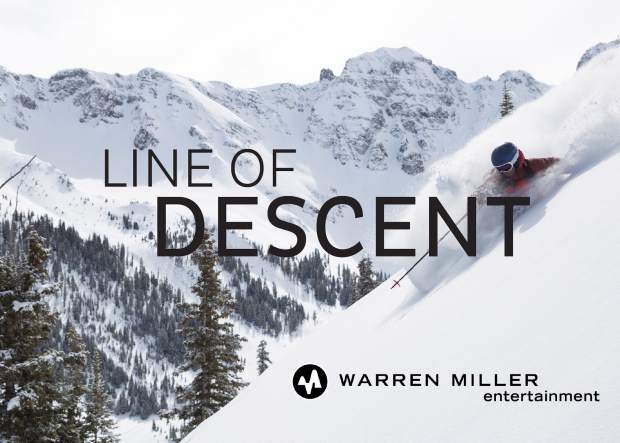 The lineage of mountain lifestyle continues in Warren Miller Entertainment’s 68th full-length feature film, “Line of Descent,” which screens at Harrah’s Lake Tahoe. Community Christmas Mixer at Raley’s Shopping Center in Incline Village includes live music, raffle prizes, local shopping discounts and more. Get in the holiday spirit and enjoy a winter tradition with the annual Kings Beach Holiday Tree Lighting Ceremony at the North Tahoe Event Center. Join us for live music, prizes, food and friends at the annual Pray for Snow Party at Hacienda de la Sierra in Incline Village. Hit the slopes, enjoy Heavenly’s high-energy DJ Cat, and then start the party at Tamarack Lodge with Unbuckle, Tahoe’s hottest après party. Free Cold War Kids concerts wraps this year’s event. Enjoy a guided snowshoe adventure by moonlight starting at 5:30 p.m. at Tahoe Donner Cross Country Ski Center, followed by hot chili and drinks at Trailside Bar. The 12th annual Alpenglow Winter Film Series will showcase big-name outdoor athletes. This year’s kick-off features Adrian Ballinger & Cory Richards at the Olympic Valley Lodge. This family event at the Chateau in Incline Village features activities, brunch, magic show, arts and crafts, raffle prizes and photos with Santa and Mrs. Claus. The Toccata-Tahoe Symphony will present “Messiah” and other winter favorites at Cornerstone Church in Incline Village. Barton Health’s Tahoe Adventure Film Festival is the annual gathering of the who’s who of outdoor adventure at MontBleu Resort Casino & Spa. Join Diamond Peak and the community for a kick-off season party celebration, featuring live music, raffle prizes, season passes, food and fun. As part of the Northern Lights Community celebration, join the fun of the Santa Crawl to some breweries, pubs and wine bars in Incline Village/Crystal Bay. Squaw Valley Alpine Meadows transforms the holiday season with its new Merry Days & Holly Nights. Enjoy festive cheer on the slopes and in The Village. The Toccata-Tahoe Symphony will present “Messiah” and other winter favorites at St. Theresa Church in South Lake Tahoe. Ice sculptors, DJs, Santa and more, ending with a NYE celebration, concert and countdown with fireworks starting at 9 p.m. The Toccata-Tahoe Symphony will present “Messiah” and other winter favorites at the Squaw Valley Lodge. Follow the athletes of yesteryear down Granlibakken’s historic ski hill with LED torches. Followed by gifts, hot cocoa, and snacks with Santa. Christmas dinner buffet is included for all lodging guests and is available to non-lodging guests for an additional fee. Breakfast starts at 10 a.m. followed by a half day of skiing and riding with Santa at Tahoe Donner Downhill. 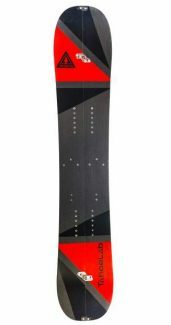 The ski lifts will open at 11:30 a.m.
Three-night outdoor music festival featuring Zedd, E-40, Dillon and more at Lake Tahoe Community College in South Lake Tahoe. A free night event for intermediate skiers and riders ages 10 or older at Tahoe Donner Downhill. Fun for participants and spectators. Music and refreshments available. Ring in 2018 at Granlibakken Tahoe. Dinner is followed by music and dancing, kid-friendly activities, and a complimentary champagne toast at midnight. Ring in the New Year at Squaw Valley. With live music, fireworks, kid’s parties and the 4th Annual Squaw Valley Prom, there’s something for everyone. Check out three unbelievable New Year’s Eve parties featuring live music, go-go dancers, body painting and more at the MontBleu Resort Casino & Spa. A long-time Kirkwood tradition, the torchlight parade includes a spectacular fireworks display in the village, with the mountain providing a dramatic backdrop against the dark winter sky. Team USA will be celebrating the 2018 Olympic and Paralympic Winter Games. Fans can interact with athletes and share excitement for the upcoming Winter Games. Race with cocktail trays in hand, through obstacles, in this annual event on the beach in front of the Beacon Bar and Grill in South Lake Tahoe. 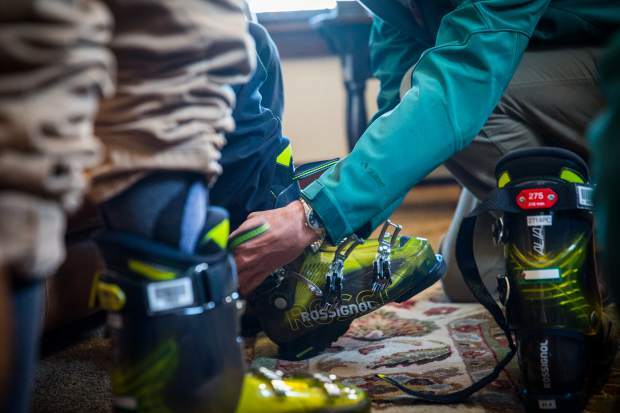 Enjoy a guided skin up the mountain, followed by a 3-course dinner and drinks at Snowflake Lodge and ending with a private nighttime ski down. With over 20 years of stand-up comedy experience, Jim Breuer remains one of today’s top entertainers. Check him out at Harrah’s at Stateline. A fundraiser for the Diamond Peak Ski Team, Ullr Fest culminates in a torchlight parade, bonfire and live music on Friday night at Diamond Peak Ski Resort. Legendary Bay Area “soul” band and Northern Nevada favorites Tower of Power return to Harrah’s for two nights in the South Shore Room. Join our guides for an interpretive snowshoe hike to Diamond Peak’s Snowflake Lodge by the light of the full moon. Light fare and drinks available. Grammy-nominated singer/songwriter Beth Hart rides a creative tidal wave of sultry blues, jazzy tunes and touching ballads into the MontBleu Resort Casino & Spa. 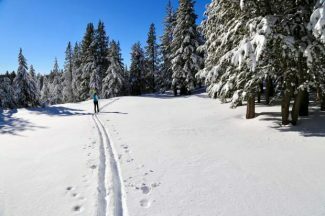 A treasure hunt on skis at Tahoe Donner Cross Country Ski Center. Participants ski to checkpoints to earn prizes. Event starts at 9 a.m. Bundle up with a companion for a special Valentine’s Day guided snowshoe tour from 5:30–7:30 p.m. at Tahoe Donner Cross Country Ski Center. Race with cocktail trays in hand, through obstacles, in this annual event on the beach in front of the Beacon Bar and Grill. Squaw Valley Alpine Meadows comes alive in February with a week-long kid’s extravaganza. Kid-O-Rama offers non-stop fun for kids of all ages. This annual winter event features several backcountry excursions, film screenings, yoga sessions and more across North Tahoe-Truckee. Dark Star Orchestra, the legendary Grateful Dead tribute band, returns to Lake Tahoe for a concert inside the Harrah’s Lake Tahoe South Shore room. Ten days of fun with SnowFest!, North Tahoe’s annual winter carnival, begin with the kickoff party and queen coronation at Gar Woods in Carnelian Bay. 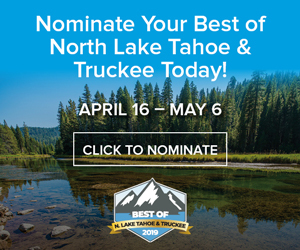 The biggest parade of the spring, the annual Tahoe City SnowFest! parade, kicks off a day of unmatched fun in downtown Tahoe City. 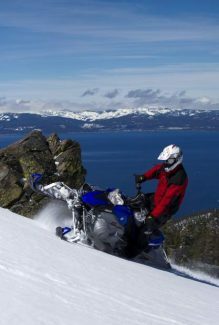 Join hundreds of spectators at the pier at Gar Woods in Carnelian Bay as competitors brave the cold waters of Lake Tahoe in this annual SnowFest! event. The Great Ski Race, where XC skiers race from Tahoe City to Truckee, is the main fundraiser for the nonprofit Tahoe Nordic Search & Rescue Team. Join in the fun with the Kings Beach SnowFest! Parade. One-of-a-kind floats, live music, participant prizes, and more are scheduled. Dogs of all shapes and sizes compete in this entertaining, timed dog pull race at Tahoe Donner Downhill, which raises money for the Humane Society of Truckee-Tahoe. This 15km or 5km event is organized by local school cross-country ski teams at Tahoe Donner Cross Country Ski Area. Lunch and raffle prizes. Activities on and off the slopes at Heavenly, Sierra-at-Tahoe and Kirkwood, competitions, live music, entertainment, March Madness and more. Help devour an incredible 200-foot banana split at 1:30 p.m. at Tahoe Donner Downhill for free! Grab some spoons because this will be one tasty monster. Come join us for some underwater egg hunt fun at the Incline Recreation Center. The Easter Bunny will also make an appearance! The annual cross-country spring tour of beautiful Euer Valley followed by barbecue and live music. Tour starts at 10 a.m. Participants build dummies that get launched off of a big jump. Spectators watch as unique characters crash hard. Diamond Peak’s biggest party of the year. Race to the top of the mountain and back using whatever human-powered method you prefer: skins, snowshoes or running shoes. Après party at the finish. WinterWonderGrass Tahoe returns with world-class Bluegrass/Acoustic Roots music on three stages alongside California craft breweries, all under the snow covered peaks at Squaw Valley. The start of Stage 2 of the Amgen Tour of California Women’s Race, and the Men’s Stage 6 finish, will take place at Heavenly Mountain Resort.